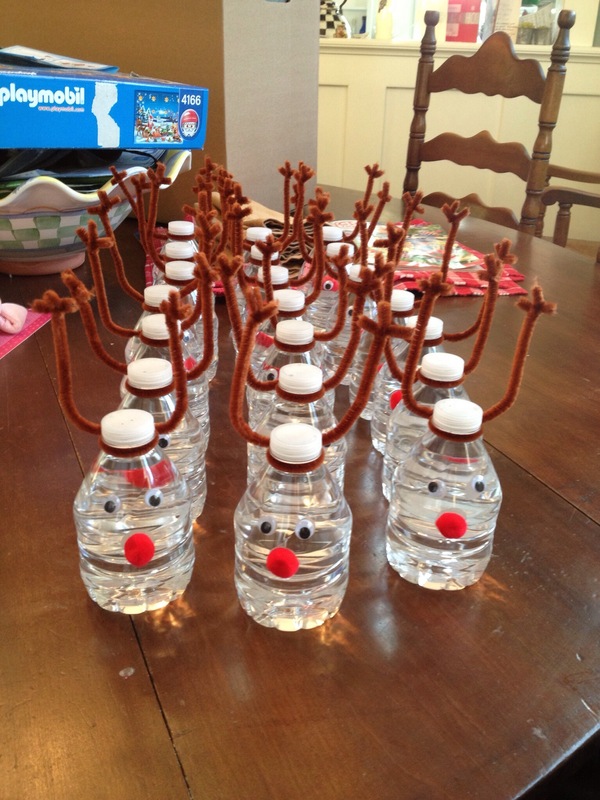 I recently hosted a Coffee and Donuts with Santa and fancied up some mini water bottles to go along with the Christmas theme! 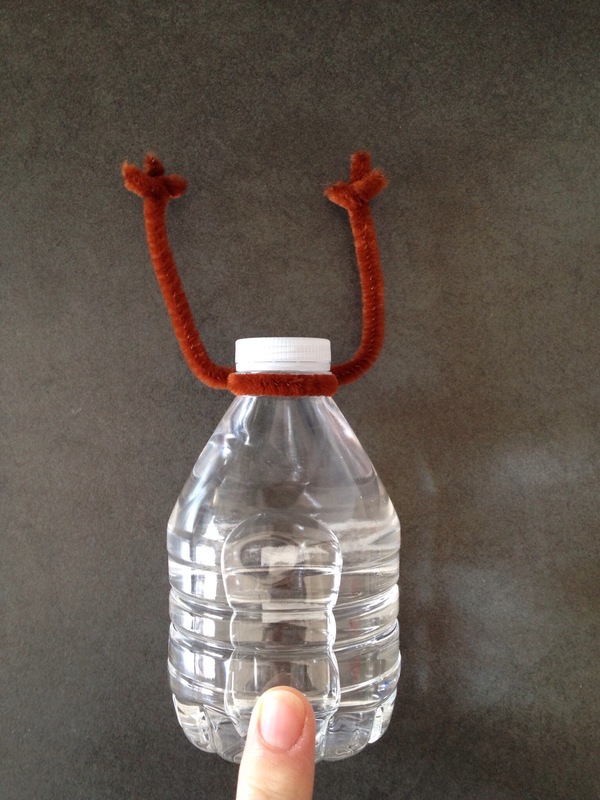 These tiny reindeer were a hit with the kiddos! 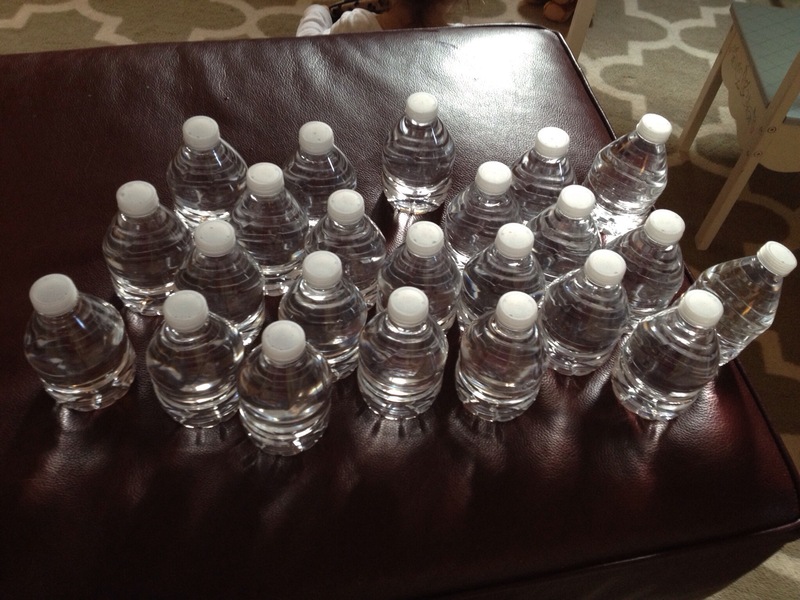 Remove all labels from bottles of water. 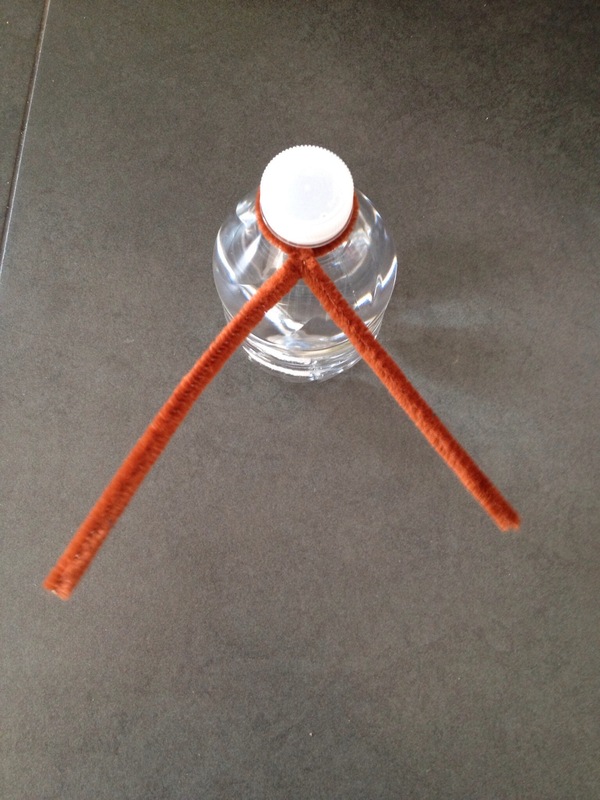 Using one pipe cleaner; fold around top of bottle, beneath cap. 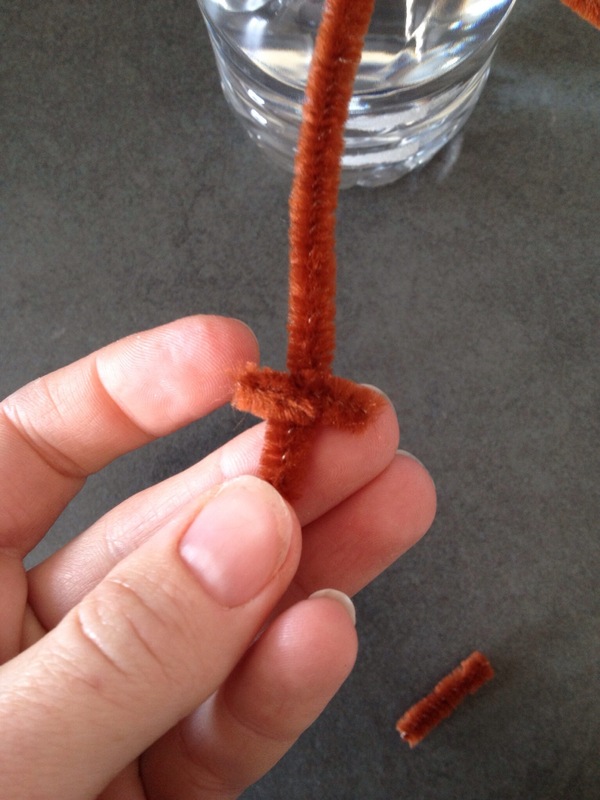 Twist twice to secure. 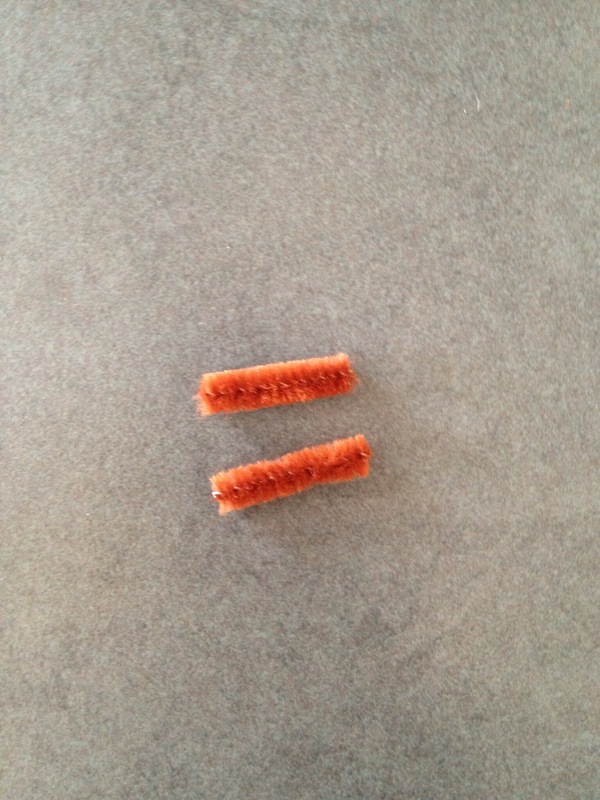 Using a separate pipe cleaner, cut two, two inch long pieces. 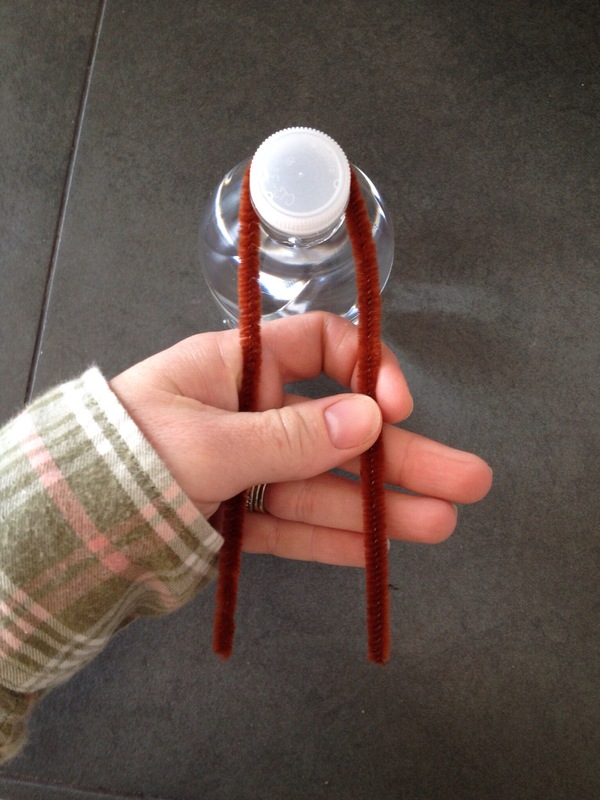 Towards the top of the pipe cleaner that’s attached to the water bottle; make a cross with the cut pipe cleaner. 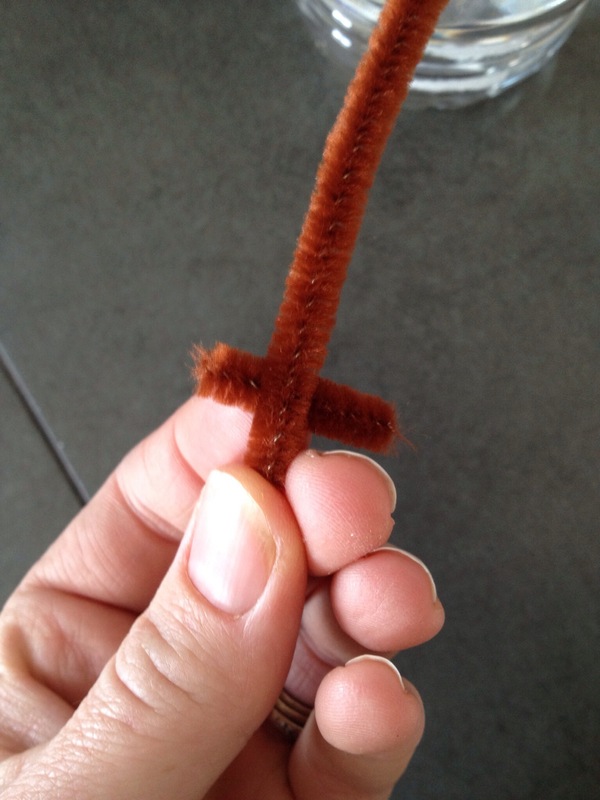 Bend and twist cut pipe cleaner to attach. Do the same on the other side. 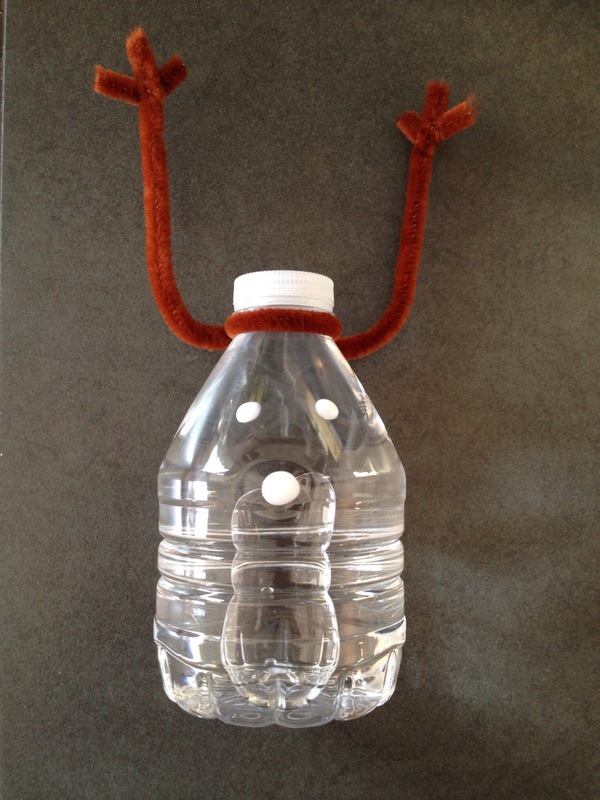 Squeeze three dots of glue onto the bottle; one for the nose and two for the eyes. Press the google eyes and nose firmly onto the bottle. 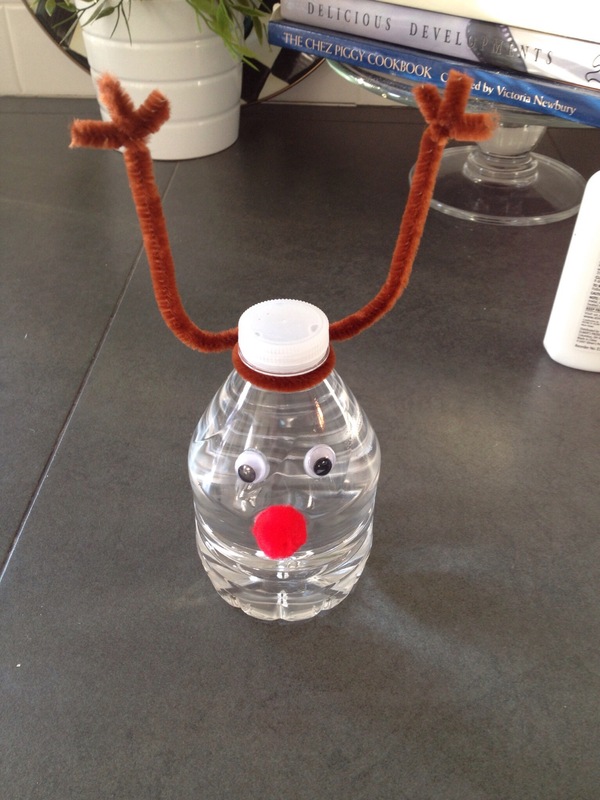 I kept the bottle on its side until the glue dried. 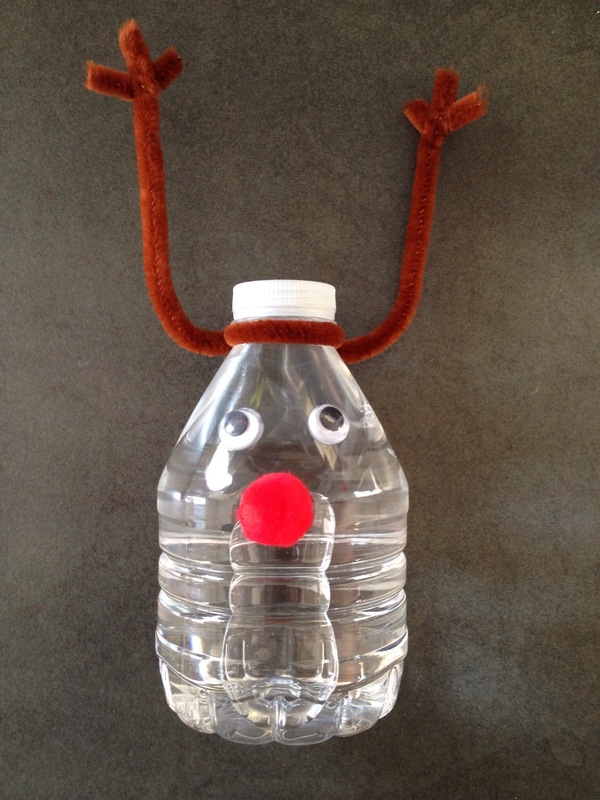 Such a fun way to dress up a water bottle! « I’ll Take One of Each In My Stocking…Please!